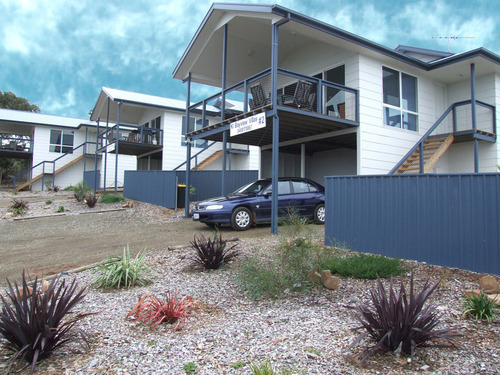 SeaLink offers a huge range of self-contained accommodation on Kangaroo Island; holiday houses, cabins, lodges, apartments and luxury retreats. 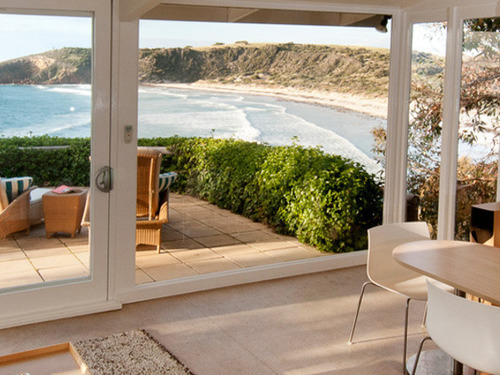 Kangaroo Island has some of the best Holiday Rentals in South Australia! Depending on your preference, you may like to stay in one of KI’s quaint townships, or you may prefer a remote rural location amongst KI’s amazing wildlife, or a magnificent hilltop lodge with ocean views, or maybe just a beachside stay where you can just walk out onto a pure-white, sandy beach first thing in the morning – we’ve got the lot! 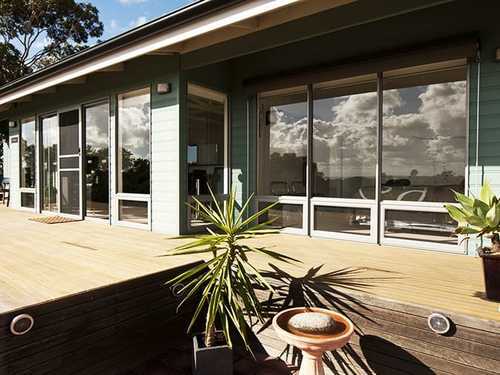 3 Bedroom holiday house including linen, situated in the bushland of peaceful Vivonne Bay. With ?a large enclosed yard, BBQ, Bluetooth audio system, VAST TV, DVD player and plenty of games to entertain the whole family. 3 Bedroom Villa, situated on the hillside overlooking Nepean Bay. With stunning sea views, property includes linen and has BBQ and laundry facilities. 1 Bedroom Cabin with linen included. Situated on 20 acres, these self-contained cabins offer a relaxing getaway just 2km from Kingscote with air-conditioning, parking & BBQ area. Rustic Cabin (1 room open plan unit) with linen included. 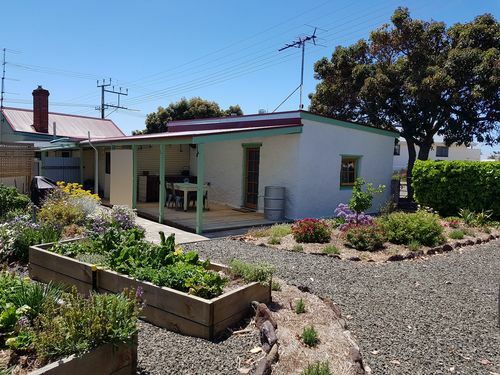 Located on a peaceful rural property, with million dollar views of the long white beach of Emu Bay. 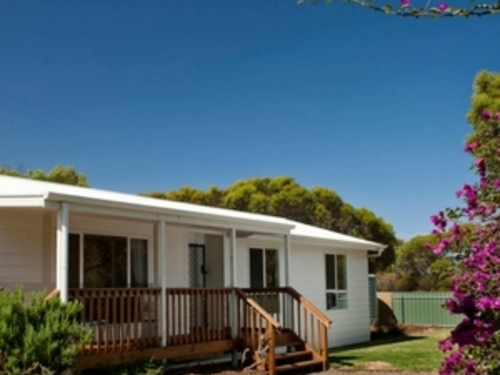 Emu Bay Holiday Homes offer plenty of space to stay and play. From a holiday cabin to a large three-bedroom house, every budget and style is catered for. A central location for day trips, but only 500 metres to the beach and jetty, Emu Bay Holiday Homes are the perfect location for your relaxing holiday. 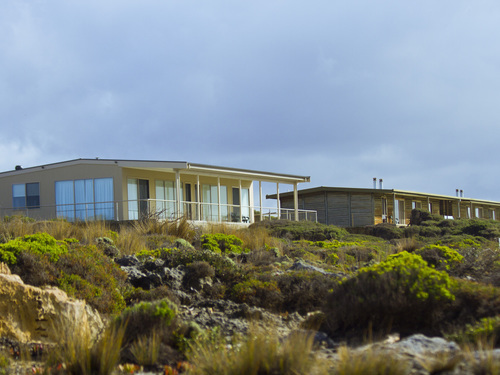 The Cliff House is one of four properties owned by LifeTime Private Retreats and located on the beautiful north coast of Kangaroo Island. You may also like to stay in either the Sky House, Settlers Homestead or Sheoaks as they are all stunning luxury properties. The sensuous curves of the Cliff House, perched on the cliff overlooking beautiful Snelling Beach, inspires complete surrender to relaxation for the perfect romantic get away. From price is based on low season 01/06/19 - 31/08/19. 2 Bedroom Family Parade Unit. From $125 per night when staying 2 or more nights. Nestled amongst an attractive bushland setting, on a beach of Nepean Bay, you can enjoy our resident Pelicans, Black Swans and Dolphins. 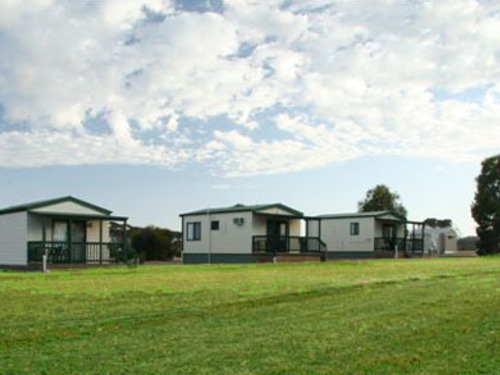 Offering a range of clean, comfortable and affordable self contained ensuite units and powered & unpowered sites. Located 3kms south west of Kingscote and within a 45 minute drive from most attractions. Pets Allowed with prior approval from the park owners. 2 bedroom house with views across Eastern Cove to Rocky Point and Island Beach, linen included and is perfect for couples or a small family. Walk through the nature reserve opposite to find a “secluded” beach, or enjoy a wine on the deck whilst watching the sun set. Only 9kms from Penneshaw and the Ferry terminal. 2 Bedroom Log Cabin including linen. Hanson Bay Cabins overlook the pristine beach and sparkling waters of Hanson Bay. They are ideally positioned to capture the wonderful cooling sea breezes during summer, while the slow combustion wood fire ensures that you are warm and snug during the cooler months. Meticulously restored 1910’s Blacksmith’s residence, offering a uniquely intimate experience. Local stone walls, rare timber ceilings, and period décor create a return to times past. The perfect escape for couples, with contemporary bathroom and quaint, well-equipped kitchenette. All prices on this page are based on twin share and the minimum nightly rate, which may be during low-season. *Surcharge included for a one night stay. Minimum night requirements and additional person charges may apply. Please refer to the individual property page for other room types, nightly rates and other details relating to the property. Prices are valid 1st April 2019 - 31st March 2020. 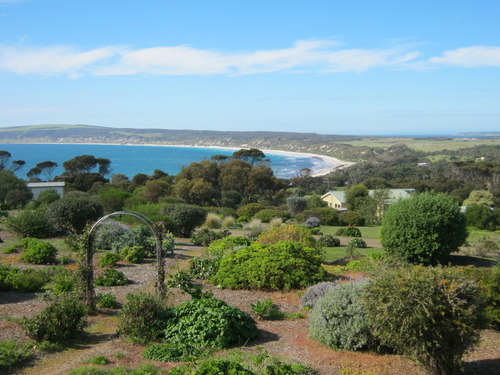 Take your Caravan or Camper Trailer to Kangaroo Island and two passengers travel FREE! Book from 14 February to travel from 15 May to 15 September 2019. Discover South Australia with SeaLink's newest holiday breaks. Book packages from three to eight days exploring Adelaide, the Barossa, the Flinders Ranges, Murray River and of course, Kangaroo Island. Book 3 nights for the price of 2 with a range of bonus accommodation offers available with selected properties on Kangaroo Island. Give Mum the gift of travel. Gift vouchers start from $20 and can be redeemed for any SeaLink South Australia service or experience. Buy online for instant delivery to your email. Sign up for SeaLink‘s latest news and offers. Order your FREE ‘Discover the best of Kangaroo Island and South Australia’ brochure today! By clicking 'I Agree', you are agreeing to SeaLink's Terms and Conditions for KI Resident Internet bookings. By clicking 'I Agree', you are agreeing to SeaLink's Terms and Conditions for Premier Club Internet bookings.